The food of Hokkaido is one of the northern island's biggest attractions, especially the high quality seafood caught in its cold waters and the agricultural products grown on its wide farmlands. Suggested to take night flight and arrived Hokkaido New Chitose Airport on next day morning. Suggested itinerary: Cape Chikyu (The Earth Cape), winner of Hokkaido’s Best 100 Nature Spots, where the extreme beauty of sheer cliffs at southern tip of Etomo Peninsula takes your breath away. Date City offers indigo-dyeing and has a blacksmith workshop where visitors can observe the art of sword forging. Showa Shinzan, an active volcano that belches out smoke even now. Lake Toya, Kyoguku’s Fukidashi Park. Arrive Niseko. Suggested lunch: Tarako (salted roe) and hairy crabs famous in the region, and don’t forget to try the well-known cheese and ice-cream made in the farms of Date city. Suggested itinerary: White Chocolate Factory, Otaru Canal &amp; Music Box Museum, Sake Museum, Asahiyama Zoo, Asahikawa Ramen Museum, Asahikawa Shopping Street Suggested lunch: rich and sweet taste of uni on a bowl of delicious rice or Grilled Seafood or Sashimi in Otaru. Don’t forget to visit one of Otaru’s wine gallery and enjoy some of that famous wine soft serve ice-cream. 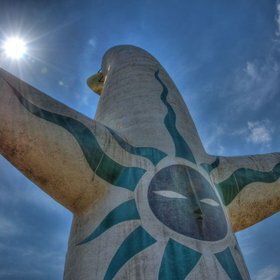 Suggested itinerary: Drive to Furano Farm Tomita for Lavender Blossom Viewing (July), Sun Flower Blossom Viewing (Aug), Furano Cheese Factory, Furano Jam Garden, Anpanman Shop, Recycled House, Odori Park, Sapporo TV Tower &amp; Clock Tower, Tanuki Koji Shopping Arcade. Suggested lunch: Furano Wine House – a glass of Furano famous wine goes well with any food! Free at your own leisure until departure. Drive to Car Rental Company to return your car and check-in for your flight home. Please contact us for additional nights stays in other cities of Hokkaido. All rates are subject to limited availability Itinerary and rates are subject to changes without prior notice. Peak season charges and all other relevent surcharges are not included. Depart from Singapore to Osaka. Upon arrival at Kansai airport, SIC transfer to Hotel. Full Day Kyoto &amp; Nara Tour. Depart from Hotel Granvia Osaka to Osaka station (walking distance) and board the rapid train to Kyoto. After arrival, assemble at Rihga Royal Hotel Kyoto and start the sightseeing tour by coach. Visit to Nijo Castle, Kinkakuji Temple, Kyoto Imperial Palace (will be replaced by Nishi Honganji Temple during weekends &amp; P.H.). Enjoy a Japanese / Western-style Lunch. After lunch, continue to visit Todaiji Temple, Nara Deer Park, Kasuga Grand Shrine and Nara Nagomikan. After tour, proceed to Kintetsu Nara Station to board the train back to Osaka. Tour disbands at Osaka's Namba Station. Pick-up service for tour available at selected hotels in Osaka, passengers who stay at the hotels that are without pick-up service will have to make own way to the nearest pick-up point (normally within 10-20mins walking distance). Tour starts at 7:30am in the morning. Passengers may have to give up the hotel's breakfast in order to join the tour. Assemble 10.00 pm at Singapore Changi International Airport Terminal 2 for your flight check in. Depart for your pleasant flight to Hokkaido (via Haneda). Upon arrival proceed to Ishiya Chocolate Factory, learn about the history and process of manufacturing chocolate. Drive pass the historic Clock Tower. Photo stop at Odori Park, where Sapporo TV Tower is located. Accommodation: APA &amp; Resort Hotel Sapporo or similar. After breakfast, visit Sapporo Old Government Building. Then we move to Yoichi Town noted for the Nikka Whisky Distilleries, this stone structure is Nikka's first malt whisky distillery, home to Japan's warmest and richest malt whiskies. Thereafter proceed to Kiroro Ski Resort or similar, where there are well-equipped facilities for dynamic skiing, snowfield tours on snow vehicles and snowmobiles. This evening relax yourself in one of the "Onsen" (hot spring bath) within the hotel. Winter sports paradise is valid from end November 2013 to March 2014 (Rental of ski equipment at own expenses) Accommodation: Kiroro Resort or similar. This morning, visit the Shiraoi Ainu Village, to experience Ainu culture including their way of life, handicrafts and dance. Next, visit the Ezo Grizzly Bears and their cubs at the Bear Ranch located at the foot of Mt. Showa. Photo stop at the Lake Toya, enjoy a picturesque view with graceful Mt. Yotei in the background. This evening relax yourself in one of the "Onsen" (hot spring bath) within the hotel. Accommodation: Toya Kanko Hotel or similar. This morning, visit Jigokudani (Hell Valley) an old site of an explosion crater. Thereafter we'll head to the Snowmobile Land where snow activities are available for all ages (at own expenses). 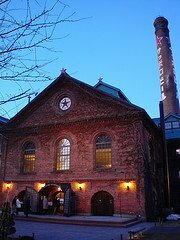 Next, proceed to Sapporo Beer Museum, this brick beer museum introduces the history of Sapporo beer as well as brewing processes and also a chance to taste the famous beer. Shopping spree at Paseo Shopping Mall and Apia Underground Shopping Mall. Rental of snow equipment at own expenses Accommodation: APA &amp; Resort Hotel Sapporo or similar. After breakfast, we visit Okurayama Ski Jump, a magnificent structual constructed for the 1972 Winter Olympic Games. Next, we drive to the romantic town of Otaru, famous for its glasswork shops and old stone warehouses, Photo stop at the famous Otaru Canal. Visit Kitaichi Glass Shop that sells a great variety of glass art works and glassware. Music Box Shop, take home a music box filled with light and sweet sound to your friends. Accommodation: Hotel Corn's Shin Chitose Airport or similar. After breakfast, transfer to Chitose Airport for your flight to Haneda Airport — Tokyo and afterwhich, transfer to Narita International Airport for your flight back to Singapore with sweet memories of ANA First Choice Holiday. Central Japan is extremely beautiful and interesting to be discovered, one of the recommended way to experience the charmness is self-driving. Self-drive travel is a flexible and more relaxing way to travel. You can stop your vehicle at any time you like, the choice and freedom are yours. Apple Vacations Singapore (AVS) is positioned to be one of the major travel service providers and Japan Travel specialists for Singapore market. With a range of NEW JAPAN FREE & EASY packages available ON SALE now, AVS is able to continue providing in-depth or tailor made itineraries for our customers - at reasonable price. Check them out at their new office! Upon arrival, proceed to the OTS Rent-A-Car counter for registration and board the shuttle to Outlet to pick the car. Visit to Okinawa Prefecture Museum /Art Museum - Shurijo Castle Park - Kokusai Shopping Arcade - Makushi Kosetsu Market . Visit to Churaumi Aquarium (Oceanic Culture Museum, Green Tropical Park, Okinawa Native Village, Tropical Dream Land). Visit to Ryukyu Lacqueware - Ryukyu Glass Village - Minami - Hama Park - Ekinomichi Itoman. This morning before go to airport you may visit to Masahiro Gallery Higa Sake Brewery - Okinawa Outlet Mall Ashibina . · Please remind customer to get their international license before departure. · Must show Passport and International Driving License upon pick up rental car. · Strictly No Request on car model and please remind customer to check the car condition before driving off. · Fare exclude Ferry from Shimabara Port to Kumamoto Port (800 Yen /ADT/Way, 400 Yen /CHD/Way and 3,000 - 5000 Yen Per Vehicle/Way). · Ferry Schedule depart from Shimabara Port (Estimate Timing) 0800Hrs, 0955Hrs, 1140Hrs, 1330Hrs, 1520 Hrs, 1710 hrs, 1900 Hrs. · Ferry Schedule is subject to change due to tide, seasonal and weather condition. · Customer to check in for their rental car at Toyota Car Rental Counter at the Airport and shuttle service will send customer to the Car Rental Outlet to pick up car. 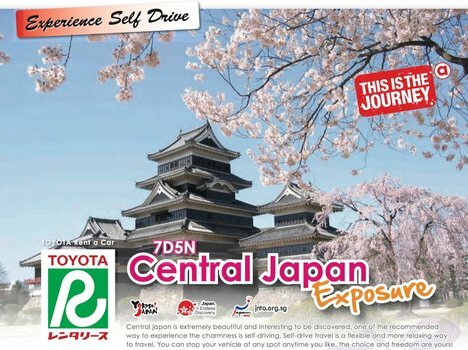 · Rental Car Pick Up Point and Drop Off Point is at Toyota Rental Car Fukuoka Airport Outlet (NOT IN Airport Terminal). Business Hour: 0800 Hrs - 2000 Hrs. · Please inform customer to drop off their cars at least 1 hour before flight Check In time as drop off as drop off is NOT AT the Airport Terminal. · Please inform customer to return the car with fuel tank fully filled, otherwise, fuel charges applied. · Fare exclude Parking Fee, Admission Fee, Toll Fee (Depending on Distance, eg. 6,500yen for 300km) & Fuel Charge (esti. 130 per liter), · Some hotels may charge overnight parking fee. · All arrangement subject to availability and prices subject to changes without prior notice. This 4 day hiking adventure tour of Fuji-Hakone-Izu National Park takes you deep into the natural wilderness of Japan, to an area surrounded by stunning mountain scenery, hot springs and volcanic lakes. Located less than 100km from the capital of Tokyo, the National Park is home to Hakone, your first destination and an area of outstanding beauty. Discover the steaming fissures as you take a cable car up the mountain to Owakudani, then walk down the other side that overlooks Lake Ashi, a picturesque lake formed by volcanic eruptions. 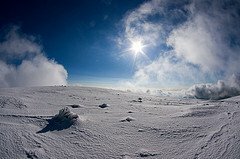 Breathtaking views of Mt. Fuji with its symmetrical, snow capped peak make perfect photo opportunities. Continue your tour in Japan by hiking with an expert guide from Daiyuzan temple along a pilgrim route to the summit of Myojin-gatakeat standing 1169 meters high. From the peak, stand in awe at the unhindered panoramic views before descending to soak in a lovely warm onsen in the evening. On your penultimate day we hike along the ridge of a mountain in the outer region of Hakone and summit Mt. Kintoki at 1,213 meters high. Standing on its peak you can enjoy wonderful views of Sengokuhara Nature Park on one side and majestic Mt. Fuji on the other. Afterwards we walk back down to Hakone and explore the many charming aspects of this quaint town before relaxing in an onsen to soothe the muscles after a day spent hiking in the National Park. 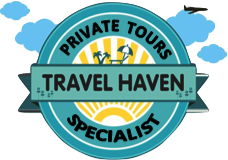 Luxury Travel Tailor Made For You With more than 18 years of experience in serving our clients and assisting travelers to embark on a memorable journey, you are assured of a remarkable holiday. Arrive at Kansai International Airport, built on a man-made island in Japan’s Inland Sea. You will be welcomed by our airport representative who will assist you with transferring by either train or shuttle bus to your hotel (1.5 hour). The rest of the day is at your leisure. Explore the former imperial capital with a knowledgeable local guide, utilizing the comprehensive bus system to visit some of Kyoto’s World Heritage Sites. You will start your day with a visit to Nijo Castle. This ornamental castle was built by the founder of the Edo Shogunate as his Kyoto residence and is surrounded by stunning surrounding gardens. The main building was completed in 1603, and is famous for its Momoyama architecture, decorated sliding doors and ‘chirping’ nightingale floors.Continue on to Kinkakuji, the Golden Pavilion. Originally built as a retirement villa for the Shogun, after his death it became a Buddhist Temple at his request, and is now one of Kyoto’s most famous temples. The final stop of the morning is Daitoku-ji Zen temple complex, which consists of a main temple and 22 sub-temples. You will visit Daisen-in sub temple, which was founded in 1464 and has one of Japan’s best Zen rock gardens, perfect for a spot of Zazen meditation after a busy morning.After lunch, we have arranged a very special cooking experience for you. You will walk the mile-long Nishiki covered food markets, where there are many interesting food stores to explore as you help your guide buy the ingredients for your Japanese cooking class. This is a great opportunity to learn about local Japanese produce.After visiting the markets, you'll travel through the back streets and lanes of Kyoto, visit to former sake brewery for the tour of the house with sake tasting, and then finally to a traditional wooden townhouse for your Japanese cooking class. Cooking your own Japanese evening meal, you'll learn how to make rolled sushi, miso soup and cooked salad with seasonal fruit for dessert. After the meal, the evening is free for you to explore Kyoto, or your local guide can assist you in returning to your hotel. Overnight in Kyoto. This morning you will make the short 45 minutes trip by train to Nara with your local guide.For 74 years during the 8th century Nara was Japan’s capital and many of the temples and shrines built at that time still remain.First stop is Todaiji Temple, the world’s largest wooden building and home to Japan’s largest Buddha, followed by Kasuga Taisha, Nara’s most celebrated shrine. You will also have time to wander through Nara Park, called Deer Park by locals due to the large population of tame deer living there.After lunch, return to Kyoto and visit Kiyomizu (Pure Water) Temple. From the 13m high veranda jutting out from the Main Hall you can enjoy amazing views of the whole of Kyoto, whilst pondering the fact that both the Main Hall and Veranda were built without the use of nails or any kind of joiners.Finish off the day with a stroll through the atmospheric Higashiyama district, whose busy lanes lead up to Kiyomizu and are filled with quaint shops selling souvenirs including Kiyomizu-yaki pottery, sweets and pickles. Optional: Tonight you can choose to stay in Japanese-style ryokan accommodation, complete with tatami mats, shoji rice paper sliding doors and onsen baths. This evening, relax in your yukata, or lightweight kimono, and dine on a sumptuous kaiseki multi course included meal, utilizing the freshest season ingredients. A soak in the onsen hot spring bath after dinner is highly recommended before you bed down on your futon. Overnight in Kyoto. Today is free until your included transfer to the airport by either train or shuttle bus. Hotel accommodation in twin room with daily breakfast. Airport Meet and Greet and return airport transfers. English speaking local guide (Day 2 & 3). All Transport and Entrance Fees as mentioned in the itinerary on Day 2 & 3. Reservations during weekends, peak periods and Japanese public holidays will be subject to Supplementary Charges. Assemble 10.00pm at Singapore Changi International Airport Terminal 2 for your flight check in. Upon arrival, we head to the base of Mt. Showa to see the Ezo Grizzly Bears and their cubs at the Bear Ranch. Then proceed to Mt. Usu to view and feel the aftermath of the devastating earthquake. This evening relax yourself in one of the "Onsen" (hot spring bath) within the hotel. Accommodation: Toya Kanko Hotel or similar. This morning, visit the Lake Hill Farm to experience ice-cream making. After that, we head southward to Hakodate. Our first stop is Hakodate Harbours &amp; Red Brick Warehouses where old brick warehouses have been renovated to serve as beer halls, restaurants and souvenir shops. Tonight we'll catch a night view of the city at Mt. Hakodate, subject to weather condition (optional Ropeway ride). Accommodation: Losir Hotel Hakodate or similar. After breakfast, visit Hakodate Morning Market. 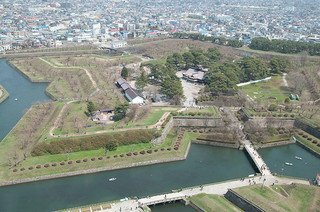 Next, we visit Goryokaku Park, the first Western-style fortification in Japan. From here we proceed to Noboribetsu to visit Jigokudani (Hell Valley), an old site of an explosion crater. This evening relax yourself in one of the "Onsen" (hot spring bath) within the hotel. Accommodation: Noboribetsu Manseikaku Hotel or similar. 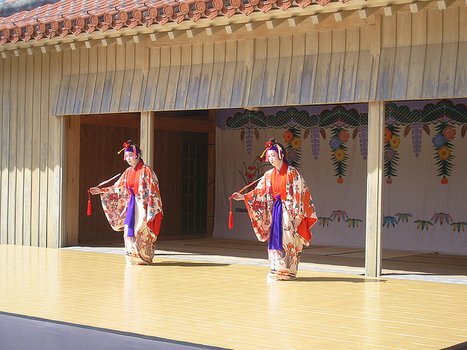 After breakfast, visit Shiraoi Ainu Village, to experience Ainu culture including their way of life, handicrafts and dance. Next, shopping spree at Paseo Shopping Mall and Apia Underground Shopping Mall. Accommodation: APA &amp; Resort Hotel Sapporo or similar. This morning, drive to the romantic town of Otaru, famous for its glasswork shops and old stone warehouses. Photo-stop at the famous Otaru Canal and visit Kitaichi Glass Shop that sells a great variety of glass art works and glassware. At the Music Box Shop, take home a music box filled with light and sweet sound to your friends. Next, visit Sapporo Old Government Building. After that, we visit Okurayama Ski Jump a magnificent structure constructed for the 1972 Winter Olympic Games. Accommodation: APA &amp; Resort Hotel Sapporo or similar. Upon arrival own transfer to Hotel and free at on leisure. Pick up from respective hotel to Osaka Train station. Tour starts from Osaka Train station, enjoy a train journey to Kyoto and visit Nijo Castle, Kinkakuji Temple. Lunch at Kyoto Handicraft. After lunch, proceed to Nara, visit Todaji Temple, Nara Park and Kasuga Shrine. Tour ends at Osaka Namba Station. Free at leisure. Own transfer to International airport for your flight home. Jepang adalah salah satu negara kepulauan di Asia yang bangga akan berbagai inovasinya, perekonomiannya yang kuat, dan kekayaan budayanya. Harga tour ke Jepang memang bisa dikatakan tidak murah, namun itu semua sepadan dengan fasilitas umum serta tempat-tempat wisata yang ditawarkan Jepang kepada para pelancong. Selama tour ke Jepang, mungkin Anda akan merasa sedang berada di planet lain karena negeri ini memiliki keunikan yang luar biasa, mulai dari masyarakatnya, kebudayaannya, selera fashionnya, sampai inovasi teknologinya. Ada berbagai tempat wisata yang tersebar di banyak kota di Jepang yang wajib Anda kunjungi. Tokyo adalah kota nomor satu yang harus ada di list rencana perjalanan Anda. 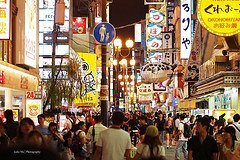 Di Tokyo, bersantailah di banyak tempat menarik, seperti Tokyo Disneyland, Ghibli Museum, Tokyo Skytree, Yoyogi Park, Shibuya, Shinjuku, Akihabara, Tsukiji Fish Market, Harajuku, Sensoji Temple, dan masih banyak lagi. 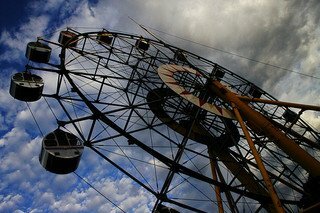 Kota lain di Jepang yang tidak kalah bagusnya adalah Kyoto dan Nara. Di dua kota ini, Anda dapat menikmati kebudayaan Jepang dengan mengunjungi berbagai kuil, seperti Ginkaku-ji Temple, Kinkaku-ji Temple, Kyoto Imperial Palace, Todaiji Temple, dan Nara Park. Pastikan juga paket liburan yang Anda pilih tidak melewatkan kunjungan ke Osaka karena di sana ada banyak tempat wisata fantastis, semacam Osaka Castle, Universal Studios Japan, Osaka Aquarium Kaiyukan, Tennoji Park, dan banyak lagi. Ada baiknya juga jika Anda mulai belajar bahasa Jepang karena masyarakat Jepang sangat menghargai turis yang mencoba berbicara dengan bahasanya. Kesimpulannya, kunci utama menikmati liburan di Jepang adalah Anda harus merasakan kombinasi wisata budaya dan wisata ke tempat-tempat modern nan futuristik yang ada di Jepang.